A good product design will be unique and innovation to marketing. Like that how to make the good design and manufacturing will be important to our designer and engineer team. We also should bear these in the mind of user experience together, we have to further consider these before put it into draft and concept design, this is very related to product development and manufacturing, then produce great products to marketing, easy to make our customer’s satisfy and emotional expectations. This is an very visual feeling, how to get customer’s attention, will be one big challenge to us, make your design and concept more novelty and unique. How to make new function will be attractive and interested to the customers, how the function will take easy and convenient to our customers will be very important. How to make product durability will be very key point to manufacturer, this is their enterprise mission, will make their size bigger and make their brand more valued. How to make product easy use, and difficult function or programmer so easy to customers will be key points that our mechanical engineer have to consider, whoever’s your customers, so convenient apply will be big buy point. How to fix the retailer price and unit cost will be directly affect to product selling and marketing, good price with perfect product will win one bigger success. Meanwhile, we also need to consider product of user experience, how to make good customers ideas to know what our customer want and needs. Why the good product design is under great user experience? Most of our users need to make simplicity and straightforward feature to our design. Need to take more fashion and innovation to our product design. Using more symbol and image instead of words. Offering more competitor’s products specification, make our own product under unique and novel concept. On-going improve and modify the product after trail orders in order to make product perfect. 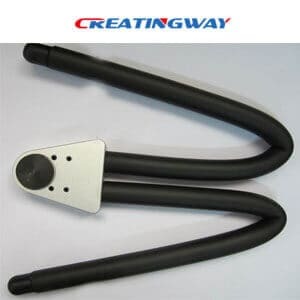 Creatingway always take your projects in mind and ideas of customers together in order to make them smooth out and perfect, win your satisfaction. Our engineer team have worked closely with your designer and marketing team to achieve best result to make your projects. Also we worked with more product tester and 3rd product standard inspection organization to review your projects to meet international standard, including product function requirement, appearance, durability and applied etc. These more engineering details we have to consider and work out in order to ensure product integrity. Welcome visit our rapid prototyping process and contact our engineers team for support, start an easy project now. How to Protect Product Design Manufacturing Failures?